Cool & Comfy Style Essentials Every Dancer Must Own! Whether you are one of those who are born to dance, who feel their spirit awaken at the call of the music beats or one of those who dance as a form of workout or are one of those from that secret and sneaky third category of people who dance behind closed doors, too shy for an audience or as they call it, “They dance +only for themselves”, this article is for all of you. Compiled below are a couple of tips and tricks, to keep in mind, to enhance your dancing experience further. No, neither am I an expert in this matter nor a dancer. When it comes to dancing I have two left feet, actually that is also an understatement. But this article has been written with the help of an expert who has learnt dance professionally and is a very good dancer. These tips are simple and easy to follow. I am sure the professional dancers already know some or most of these, but there are many amateurs and novices out there which will find this article very useful. First the apparel. Dance is expressing yourself though your body and expression. For this it is extremely important that the clothes you wear while dancing are comfortable and don’t restrict your movements. 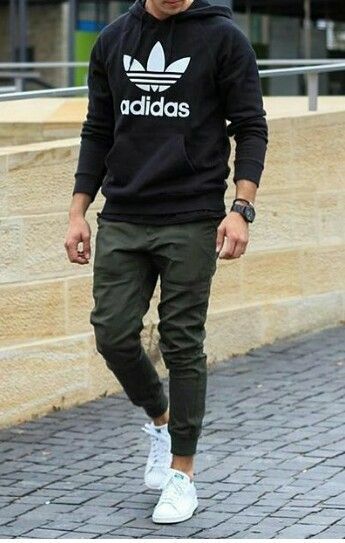 Guys can opt for a simple t-shirt, jersey, tank top or a wife beater with some track pants. This is the combination which offers the highest level of comfort. Make sure that the clothes you pick are a little loose. While dancing you tend to perspire a lot and tight fitted clothes may make you uncomfortable. But please don’t pick clothes especially pants that are so loose that they have trouble staying on your waist and cause you to trip or lose your balance when you are dancing. It would be wise to pick your clothes in a breathable cotton material. Don’t pick clothes that are thin or flimsy, pick a thicker material. Another great option is wearing hosieries like leggings, bodysuits or tights. It is advisable to dance with your shoes on, whatever the dance form. Shoes protect your feet from sprains and stubs. Canvass joggers or running shoes are very comfortable when dancing. Care should be taken that the shoes are light weight and bendable. In case there is an exception to wearing shoes, like if the client has requested something or if it is not possible to wear shoes for the entire routine or shoes make you uncomfortable then I would suggest you go for half socks or footundeez. These will protect your feet from the friction on the floor. Please avoid wearing any accessories while dancing. These include rings, chains, watches, bracelets, earrings and anything else similar on your person. This is because it can cause injury to you or to your partner when dancing. If you are planning a dance routine or have a lot of floor work or jumps or an aerial routine, then please wear knee pads. If you are planning something with ropes or a pole then please wear gym gloves. A head band or a smuff should be carried for guys with long hair. It will prevent their hair from getting in their eyes while dancing. Yoga mat (This is an optional item. It is required only if you do pre dance or post dance warm up or cool down routine on the floor).